Make or join a team. To create a team you first need to register for the event. 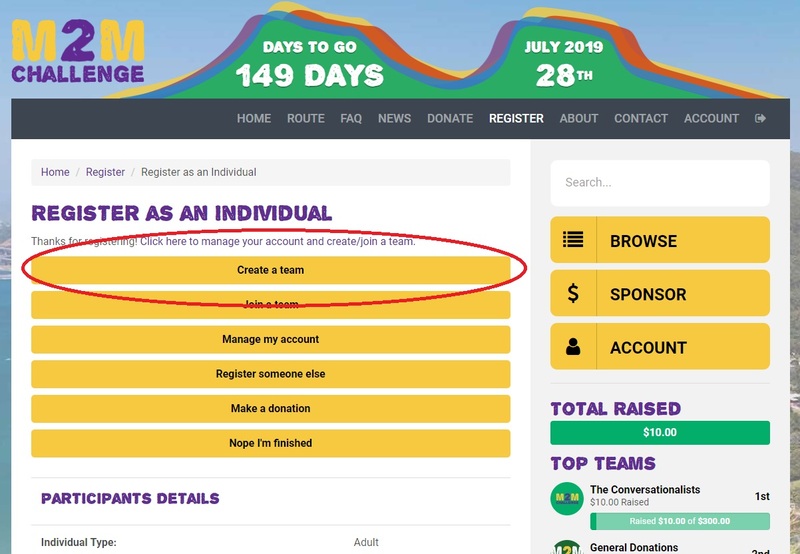 If you registered earlier you can create a team by using the login and password that was sent to your email addressed after registration and log in to your personal page by clicking “login” on the top right corner of the website and entering your details. You have now created your team ! When people join your team you will receive an email with a link to approve their membership of your team. In fact - any of your team members can approve new members. So when someone wants to join the team, any current member of the team can approve them. Why not share this page with your friends, colleagues and family using the links at the bottom of the page. To join a team you first need to register and then log in to your personal page. Click on the "LOGIN" menu item on the menu bar and then enter your login details and click "SUBMIT"
Once you have found the team you would like to join, click on the “Join Team” button. This will send a request to the team members who will approve your request to join the team. You will get an email to confirm this. When you login, on the change password page you will see "PENDING TEAM" button until you are approved by any of the members from the team you want to join.